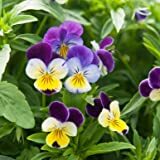 Viola tricolor growing subshrub of the genus Viola and also known as Wild pansy or Heartsease, Viola tricolor is annual in warm climate and short life perennial in cold climate mostly used as ornamental plant although it’s an edible plant. 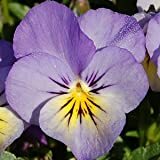 Viola tricolor can grow in temperate, mediterranean or subtropical climate and growing in hardiness zone 2-10. 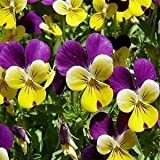 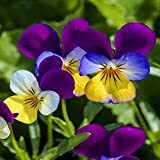 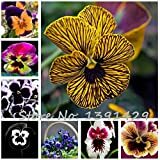 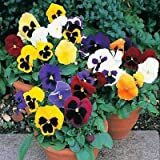 500 Seeds Johnny Jump-up (Viola Tricolor) Purple, Yellow and White - Mixed Flowers Seeds!